Wingstop Franchises For Sale in Pensacola, Florida for $349,000! Two established franchises, currently grossing an estimated $1,257,290 and net $130,783. Great locations in busy plazas with surrounding retail stores, restaurants and a movie theater. Restaurants seat 30-36 inside. 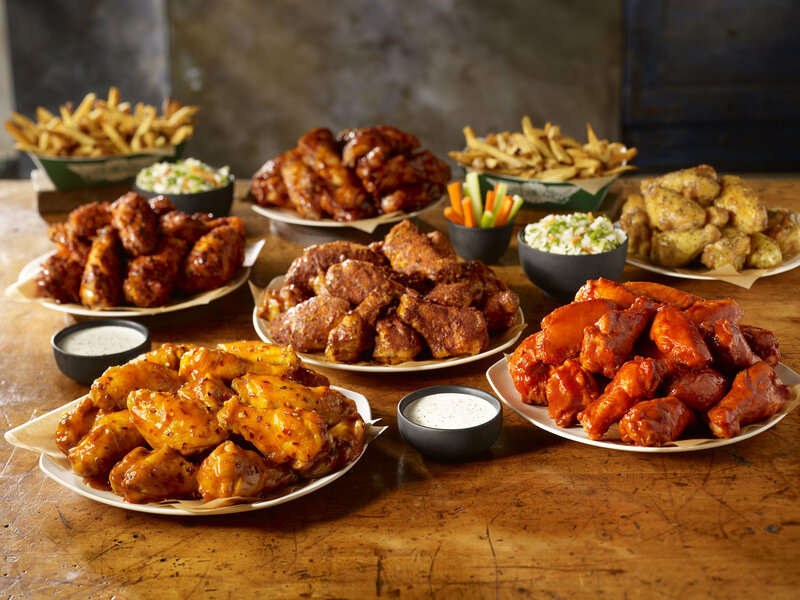 Wingstop is a chain of aviation-themed restaurants where the sole focus is on chicken wings. These franchises are well established and showing continued growth despite minimal advertising. Includes all restaurant equipment. New owner will need to be approved by the landlord and franchisor. Some financing available for buyers who qualify for a revolving credit line through our third party source. Apply Here. The current gross revenue being generated is estimated at $1,257,290. There is no seller financing. These businesses may qualify for a business or SBA loan. If more financing is needed for startup cost you can review additional Financing Options Here. Expenses will vary for each restaurant owner depending on the type of restaurant, number of employees, and location. Current expenses for this owner include: payroll, payroll taxes, workers compensation, advertising, supplies, food, utilities, property rental fees, permits and licenses, phone, and insurance. Expenses are estimated to be a total of $1,126,507 per year (Note: Expenses represent a cash purchase and do not account for finance payments if requiring a loan to purchase). Currently the owner leases the properties. Lease terms remain for 4.5 years for one location and for the other location the lease is currently month to month. New owner must be approved by the landlord. Note: New buyer will sign lease terms with the property owner. Located in Pensacola, Florida. Physical addresses will be released to qualified buyers upon execution of an NDA. Current list of equipment includes: Keg cooler, Visi Cooler, Cheese machine, RIC (new), prep table freezer, 3 door large freezer, 4 vat fryer, oven, ice machine, sandwich cooler (new), POS system with side board, printers, fax/printer, safe, monitors, 5 cash drawers, safe, vent hood. One restaurant is 1,400 sq. ft. and seats 30, the other is 1500 sq.ft. and seats 36. Do these restaurants currently have a beer or liquor license? Both locations have a beer and wine license that is included with this sale. Seller has owned one restaurant for 10 years and the other for 12 years. Restaurants are operated from 11am – 11pm Sunday through Wednesday, and 11am – 12am Thursday through Saturday. Established franchise opportunities located in great locations. Turnkey and move in ready. Includes the cost of all equipment. Plenty of opportunity to increase revenue. Restaurants have great customer ratings! Priced at $349,000. For additional information and to evaluate this business further Contact Us About This Restaurant Here!